Kansas City Residents: Call Firehouse Now for Spring Window Cleaning! After the dreary, cold days of our Kansas City winter, we are all ready for the sunny, warmer days of Spring. But, many of us will open our blinds and drapes to let the sun in to see . . . dirty windows! Now is the time to call Firehouse Tint & Clean to get those windows sparkling clean! You may find window cleaners who will clean your windows for less. But are they insured? Do they have all the proper tools and ladders to do the job? And most important of all – are they professionals? At Firehouse Tint & Clean, we take window cleaning seriously. We do not use sub-contractors. You may rest assured that our crews are fully insured and trained, using the best equipment and products available. We aim to give your windows that Firehouse Shine with our “Clean Windows” guarantee. If we miss a window, or you see a smudge, just call us. We will take care of it for you! Firehouse knows the importance of great window cleaning … and how to do it. All windows are cleaned by hand. Firehouse does not use poles to reach high windows. 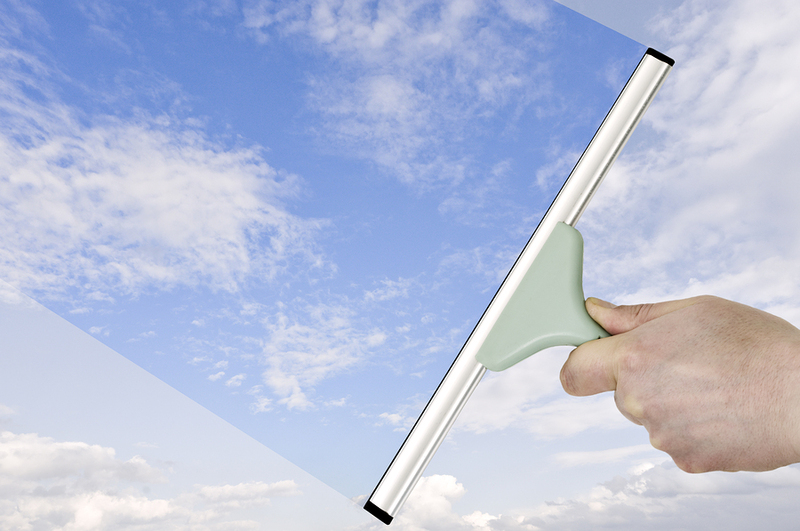 Every outside window is cleaned at eye level, so we can see that your window is clean with no streaks or smears. We use special cleaning solutions to cut through the dirt, soft squeegees that are gentle on your glass, and lint-free towels to wipe around the window frame. Sometimes scraping is necessary to remove paint, silicone or heavy layers of dirt. If needed, scraping is always done with great care. For interior window cleaning, Firehouse crews always wear booties. If your windows are tinted, it is important to let Firehouse know. Even though Firehouse is a 3M Prestige Dealer for 3M Window Films, if we did not tint your windows our crew may not notice the film immediately. Just tell the crew which windows are tinted and Firehouse will then be able to clean your tinted windows perfectly! You have probably read many articles on “How to Clean Your Windows.” These articles hype everything from using newspapers to wipe your windows to using various mix-it-yourself cleaning solutions. While these hints may be good if you wish to spend hours cleaning your own windows, you may also go crazy figuring out which side of the window that streak is on. What’s a better solution? Have Firehouse Window Cleaning clean your windows for you! *Combine window cleaning services with any of our other services – mirror, fan, chandelier, light fixture and gutter cleaning, window tinting, pressure washing, mildew removal, holiday/Christmas/event lighting installation.